May the 4th Be With You. Are you celebrating Star Wars Day? 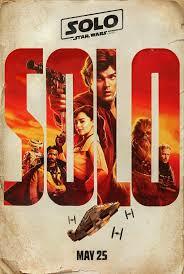 Excited yet for the upcoming May 25th, SOLO: a Star Wars Story? You don’t want to miss a single scene in a new Star Wars film, but with the RunPee app, suffering will not be your lot in life. We’ll tell you when you can sneak out for a quick bathroom break. To honor Star Wars Day, here’s a list of iconic scenes you wouldn’t have missed if you had the RunPee App. Suffice to say, SPOILERS LIE AHEAD, MATEY. Stop right here if you aren’t up to speed through The Last Jedi. What did I miss? Add your favorite scenes in the comments below. Here’s a fun topic, a list of the “prettiest” ever live action movies. They have to be gorgeous on their own merits, plot aside. I’m looking for outstanding visuals. [pullquote]What qualifies as pretty? Lots of color, slick visual or computer generated effects that stand up through time, creative set-pieces, stylish direction, and lavish location scenery. [/pullquote] If you leave a theater thinking, “Wow! That was stunning,” then it’s a contender. You’ll notice that most of the following are in sci-fi and fantasy genres, which is a viewing bias some of us at RunPee have. Help out in the comments so I may add more to this ongoing list. NOTE: Linked titles go to our movie reviews. 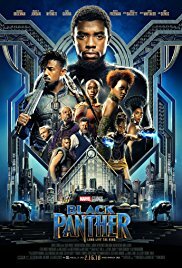 Black Panther – spectacular visuals, locations, effects, makeup, costumes — the whole package! Well, there’s our short list, ready for you to add your opinions to. What are we missing? Where do you disagree? There’s a great deal of humor, but while some of it’s clever, the rest is somewhat more goofy than usual for this series. People at opening night really got into everything, though, applauding, laughing, squealing at certain appearances (no spoilers!). Definitely everyone enjoyed themselves in a totally packed theater (sold out across the nation, apparently). At least the critters are “good cute”, instead of overly cutesy, which is nice. (Porgs! Crystal Foxes!) The blue milk “cow” was admittedly very strange, but did harken back to Luke’s moisture-farming childhood. All the scenes on Luke’s planet were hugely pretty and interesting. The island scenes even had a Degobah flavor, while looking nothing like a swamp. Nicely done. In spite of trailers spoiling a lot of it, those were my favorite scenes. [pullquote position=”right”]Everything with Luke Skywalker…well, I’d describe those as magical. Riveting, even, as it should be. Mark Hamill absolutely carried the film and deserves a special shout out. [/pullquote] It warmed my heart to see him back in action, in both grumpy and heroic modes. Rey and Kylo were great, and I liked seeing them interact again. Rey did a bit better, with actual character development. Kylo was kind of stuck at the same emo place we saw him before. His parts with Rey were highlights, though — they have a great rapport! I hope to see more of it, next time. The big fight scene (being vague here on purpose) was excellent. Poor Finn doesn’t come across as well as he did in The Force Awakens, and he was such a bright light in that film. I think having him separated from Rey and Poe made it problematic, chemistry-wise. Boyega did so well interacting with Ridley and Isaac. This time his sub-plot felt flat and extraneous. It could have been the writing. I’m not sure yet. Carrie Fisher’s post-death swan song finalized in a strong way, and that was a huge relief. I don’t know how they’ll bring her character to a resolution in the last film of the Skywalker Saga, but it was a shock to see the actress “live” here, after her untimely demise a year ago. I worried it might feel tacky or forced. It definitely worked. She has a lot to do, and did it well. I think Our Princess would be very happy with this movie. So, a good installment, definitely superior to the Prequels — but I’m not sure yet where I’d rank it among the others. It’s probably for the best anyway to think a bit on The Last Jedi before passing judgment. When you build something up so much in your mind for so long, better thoughts parse (or parsec?) out after time passes. I need a second and third viewing. It took me a year to figure out where to place Rogue One, although I was so happy with The Force Awakens that I instantly gave it 3rd place. This series has been so plagued with disappointment. I don’t think Star Wars is done yet, by any means, and I’m not a hater of The Last Jedi at all. But I may not be a huge fan of director Rian Johnson. NOTE on the 3D version: Only a few scenes made 3D worthwhile, but it wasn’t noticeably darker, as can happen with those glasses. 3D really only came into play at the end battle on the salt planet, with the red soil, and in some adorable Porg shots. I didn’t notice much else. Ultimately, I wouldn’t shell out for the extra money for a 3D showing. If you’re a huge fan, consider 3D for a one-time viewer experience; otherwise stay with 2D. Read RunPee Jilly’s Pre-‘Last Jedi’ SW Movie Rankings. The Empire Strikes Back easily wins the top placement in the Star Wars franchise. It’s got everything: adventure, humor, romance, exciting space action that still holds up after all this time, and outrageous reveals. I never get tired of watching this film. I couldn’t count how many times I’ve seen it. A New Hope runs very closely to the number one spot — clipping its heels, as it were. It started off the whole mythology with a masterful, iconic adventure story. It’s an almost perfect movie. The Force Awakens – I wanted to cry with happiness when TFA premiered. It was Star Wars to me, finally! After decades of slogging through disappointment from the prequels, the joyous universe I first fell for was back. The new characters were fantastic, the humor worked, and everything was oh-so-pretty. I’m an absolute fan. While some say — correctly — that this is a rehash of A New Hope, I see it as a plus. The fun was baked in, and it felt like coming home. 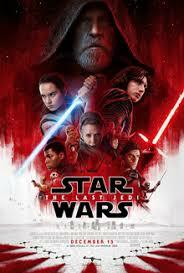 The Last Jedi – Another divisive choice, but TLJ is undeniably pretty, absorbing, and provides a satisfying send-off for Luke. While the “casino” scenes and Poe Dameron mutiny subplots are lacking, the Rey/Luke and Rey/Kylo scenes are, for a better word, outstanding. I can only hope that the final film in the Skywalker series is worth the wait. Return of the Jedi – I wish I could place this higher. The opening rescue of Han from Jabba’s palace is pure gold. After that, it goes downhill fast. 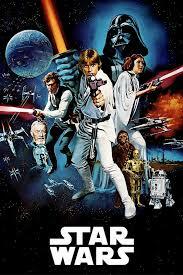 Han becomes an anti-version of himself; Leia is pensive and moody; Luke is inscrutable (and not in a intriguing way). It doesn’t really work, and the Ewoks still piss me off. The jokes are stale, the action sequences middling…but it’s still better than the prequels. Damning with faint praise? 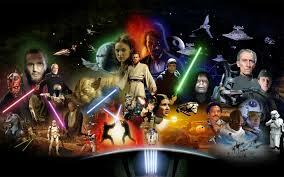 Phantom Menace – Many people probably rank this one last, saying it “ruined” Star Wars. I myself was hugely disappointed with this when it came out. Over the years, though, it’s taken on a nicer sheen. I love Qui-Gon; young Obi-Won was perfect, and there are some amazing set pieces. The Pod Race scene is great, Naboo is beautiful, the Padme/Queen storyline was compelling, and the Duel of the Fates climax with Darth Maul is the best lightsaber fight in the entire saga. As for the hated Jar Jar, the terrible Midiclorians, and that poor Anakin kid with the terrible Yippee lines: I learned to ignore them, and just watch the moments that had the right feel for the SW Universe. It’s a really pretty movie, and Liam Neeson’s Qui-Gon is the best Jedi we see throughout the series. Attack of the Clones – This one is mostly dreck. I like the arena fight scene — great set-piece — and the stuff on Camino (the water planet). Coruscant is neat, and the early scenes of fighting on the flying cars — pretty darn cool. But the entire romance was bad. Simply, plainly bad. Bad like sand! I don’t get why Padme is interested in this whiny child. Who is Dooku, again? What is the plot about? There are clones, there are trade negotiations, and a whole lot of nothing. I know everyone’s list will be different. Ultimately, any Star Wars is better than most sci-fi out there. There’s a lot to like about this movie. The humor, particularly from K-2SO, or K-2 as he’s more often referred to, is outstanding. I have to say, K-2 really carried the movie. It’s not going to happen, but I would love to see a movie with him as the main character. He’s that entertaining. They did a great job of propping up “A New Hope” with various sayings, cameos, and scenes. That just makes me love both movies even more. And the end of the movie is just awesome. I wasn’t crazy about the first 30 minutes of the movie, give or take. The scenes are short, and skip back and forth from one planet to another, setting up characters and plots. It just felt too disjointed to me, but eventually it settles down and the pacing improves. There’s no question that this is a fine addition to the Star Wars universe. 3D Notes from RunPee Wife: Don’t spend your extra money on the 3D version of this film. It doesn’t add anything, or bring you into the universe in the way a good 3D film can…here, it only makes the images darker. Everyone talks about how pretty this movie is; don’t let the glasses bring that down. I actually took the glasses off a few times so I could see the scenes better. Will watch this again in 2D. Later Note: the 2D version is cleaner and brighter, and improves the viewing experience a lot. The film graininess is intentional, as part of the war mood they were evoking. This movie also gets better every time you see it, storywise. I can safely say that SW:TFA is the 3rd best Star Wars movie in the franchise. And let’s be clear, it would take a miracle for JJ Abrams to create something better than New Hope or Empire Strikes Back. This is easily the funniest movie in the franchise. Almost, but not every, funny moment revolves around Harrison Ford. The movie isn’t without its flaws, but those flaws are minor, and of course this is Star Wars, so I’m being overly critical. A few good things to report: BB-8–the spherical droid–is cute, without being overly cute. JJ is mature enough as a story teller to avoid crap like Jar Jar Binks. All of the fight scenes, whether hand-to-hand, sword-to-sword, or fighter-to-fighter are good, and some are great, but none drag on longer than they need to. There’s never one of those, “OMG, would someone kill someone here so we can move on with the story,” fights. The acting was spot on. The casting of Daisy Ridley, as Rey, and John Boyega, as Finn, are marvelous. I’m really looking forward to seeing their characters develop as the saga continues.